No sessions can be created from the command line in case it is disabled in the client generator. 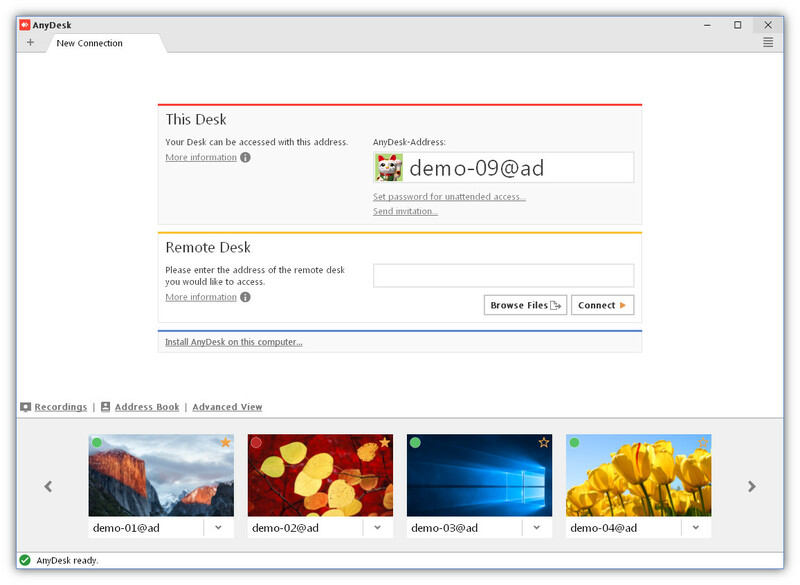 Auto-Discovery is now only enabled when AnyDesk is installed. Otherwise, the user has to start it manually. Added a context menu to address book. The loopback (monitor) audio device could not be selected as an audio source after selecting a specific device once. Fixed a crash which could occur when going in or out of fullscreen mode in D3D render mode. Fixed a bug which could lead to image corruption when going in or out of fullscreen mode. Improved behaviour of fullscreen mode when the user switches to another application than AnyDesk and back to AnyDesk. Fixed a bug where the installer would crash when started twice. Under certain conditions, Drag&Drop was started when it was not supposed to start. This should not happen anymore. 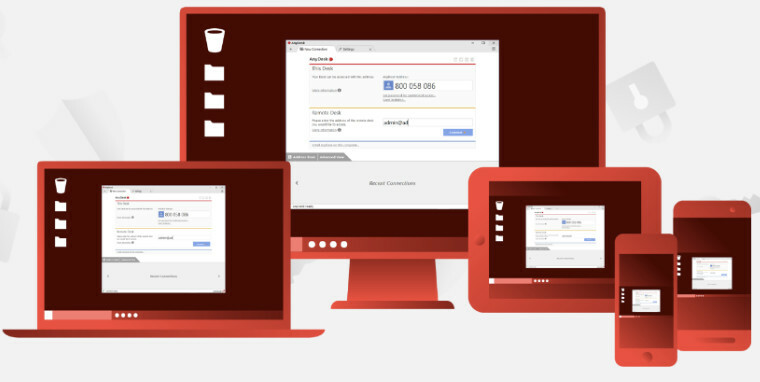 AnyDesk prevented the screensaver to engage when the Accept Window was open. This behaviour was changed so the screensaver is only prevented while an incoming session is active. Fixed a crash which could occur under rare conditions when using the whiteboard feature in Windows Server. Using the Address Book could cause AnyDesk to stop responding in rare situations. The Address Book now remembers the selected items during actions. Fixed a bug that caused the Address Book to not update anymore when the option 'Open Address Book on startup' was enabled. Implemented a progress display for the installer.